Put excitement into learning about American history by living it. Sail on a windjammer to experience coming to America. 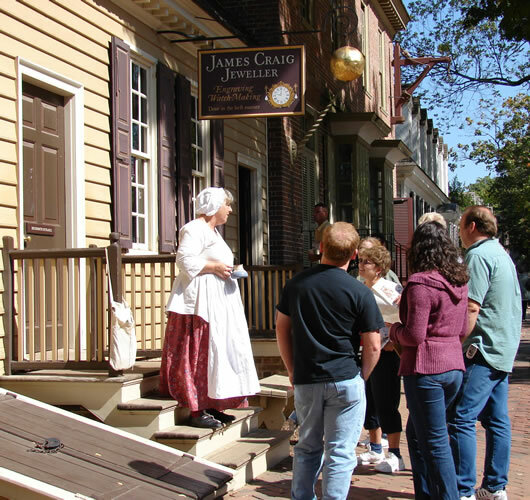 Feel the tension of the impending American Revolution at Colonial Williamsburg. Head west on the Eire Canal and continue on the Santa Fe Trail. 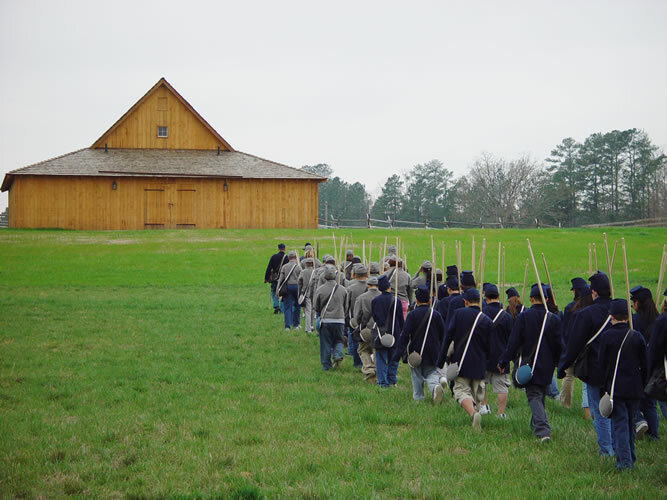 Enlist in the Civil War in Pamplin, VA. Walk in the shoes of the everyday people who built America, sleep as they did, and see America as they did. 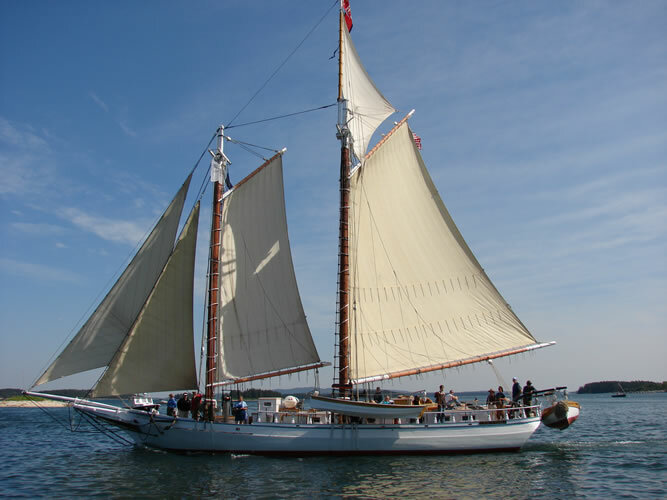 Millions of immigrants came to America by ship, some on windjammers like the Grace Bailey. The Grace Bailey was completely restored in 1990 and is now a National Historic Landmark. It is just one of the tall-mast schooners where people can experience life on board and learn the meaning of “close quarters.” After the first full day aboard ship passengers get their bearings and settle into a comfortable routine. With the clanging of pots and pans in the galley and the smell of coffee the day begins. All hands help raise the sails by following the commands, “Ready on the Throat. Ready on the Peak. Haul Away. Two-six heave. Two steps toward me. Drop the line.” On a foggy morning take turns blowing the conch shell – the early foghorn – until the sun breaks through. The crew turns young “immigrants” into sailors with lessons in seamanship. For the lucky the skies were blue and seas calm providing a pleasant respite before carving out a new life in a new country. 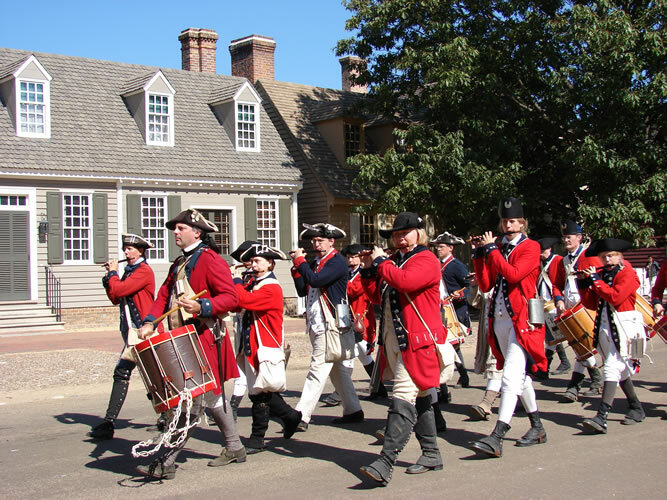 Colonists living in Williamsburg, Virginia Colony, found the sound of the fife and drum band marching down Duke of Gloucester Street too stirring to resist and so will those who stay in one of the authentic 18th century colonial houses that line Colonial Williamsburg’s main street. Get into the spirit by donning colonial clothing and head to the capitol steps to listen to the reading of the Declaration of Independence. Join in the heated discussions about the impending war with preachers, house servants, farmers, and artisans—both enslaved and free. The latest colonial news was found at Christiana’s Tavern. Christiana, like all tavern owners, is a font of knowledge. “Washington has stayed with us 96 times. He steps a fine minuet, you know. All the ladies want to dance with him.” She continues with, “Up Boston way they dumped tea into the harbor so many of us are drinking coffee now.” Help with chores at Great Hopes Farm. Dance at the Governor’s Ball or sit on the jury at the trail of Grace Sherwood, Virginia’s Witch. Youngsters can learn a trade in Williamsburg’s apprentice program. End the day at Chowing’s Tavern for gambols - games and songs that were popular in 18th century taverns. Following the Revolutionary War the United States expanded from sea to shining sea. Board a packet boat on the Erie Canal for the trip to Buffalo. Today the canal is a quiet, tranquil waterway making it hard to envision the 1830s when the bustling Erie Canal was the fastest and easiest way to travel. While the boats are no longer pulled by mules the speed limit remains five miles an hour. 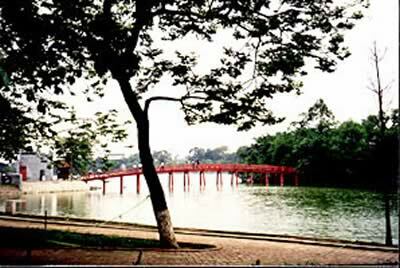 “Low Bridge, Everyone down” is still an appropriate cry because several canal communities have lift-bridges. The boat captain radios, “Seneca calling Middleport Bridge, requesting westbound passage.” A railroad-style gate stops road traffic and the bridge is raised. 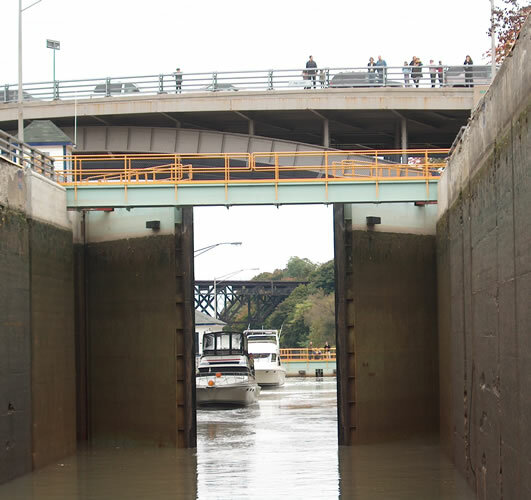 Locking through the historic locks in Lockport is a hands-on lesson in canalling. When the massive water gates open the captain eases the boat into the lock. 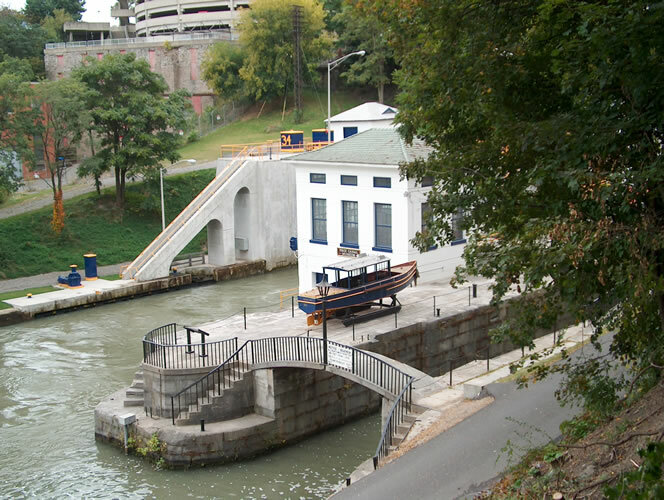 The water gate is closed, the water pumped out, and in five minutes the boat is 25 feet higher. Several towns, including Lockport, have museums preserving Erie Canal history. From the 1821 to 1880, the Santa Fe Trail was one of the “big three” American trails, along with the Oregon and Chisholm Trails. 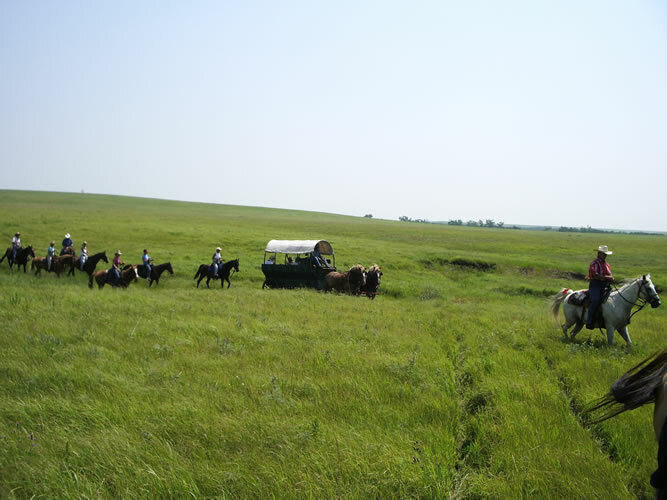 Today several companies offer covered wagon experiences on the trail. Wake to the yipping of coyote pups and the smell of coffee brewing over an open fire. Follow the directions of the trail master, “When you get into the wagon, step quickly. Sometimes the horses jerk the wagon forward causing you to fall.” And, “Don’t worry about snakes, the vibration of the wagon wheels usually scares them away.” It doesn’t take long to feel the rhythm of the trail. The scenery is breathtaking. Part of the trail goes through the tall grass prairie of Kansas where there is not a bulding in sight, only wide-open grassland. When America’s most devastating war started in April 1861, men were quick to join the military. 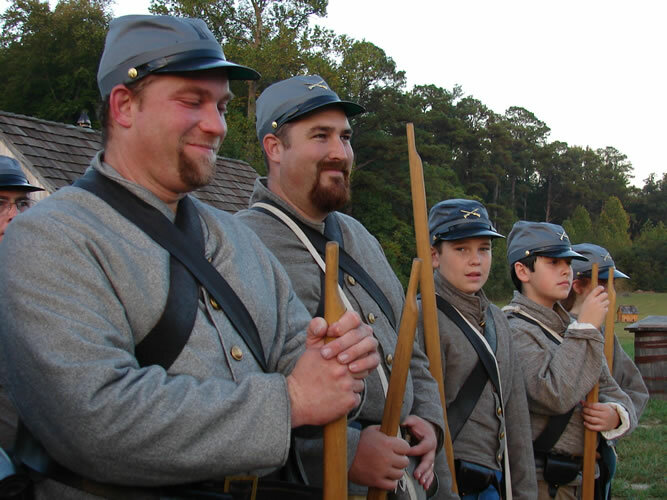 Today people can sign up at Civil War Adventure Camp in Pamplin Historical Park, VA. After being sworn in, uniforms and equipment are issued then the drilling starts. “Platoon Assemble,” barks the First Sergeant. “A sorry looking bunch of fresh fish.” First Sergeant proceeds to make the unit presentable and then teaches the commands: “Form columns of companies!” “Count off!” “Dress right!” “Right face!” “Right Flank!” and “March, One, Two!” Guns are issued and the new troops learn how to “Load in Nine Times.” After a meal that includes hardtack the day ends with a spell of guard duty. The morning tattoo sounds at 5:45, marching rations are issued then it is off to a mock battle. “Fire!” “Watch your left flank.” After the battle some of the “wounded” were treated in the field. Other soldiers were brought to the surgery where a few had their limbs “amputated.” When soldiers are mustered out after the two-day experience there is a deeper appreciation for all the people who have served in the military. Ranching and cowboys are synonymous with the American West. 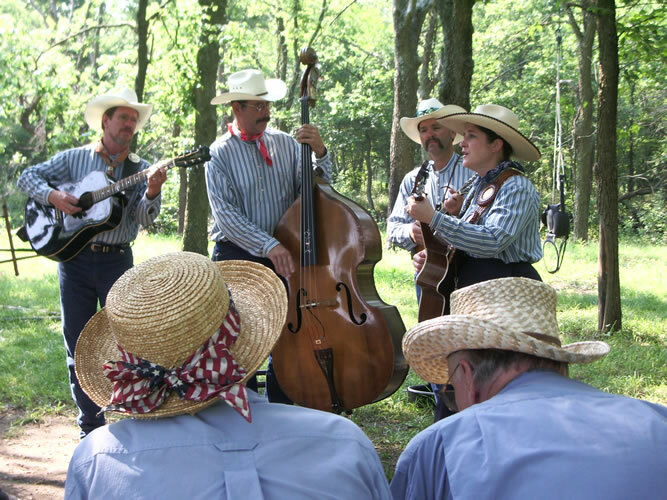 The Moore Ranch in Kansas and the Rocking Bar A in Utah are just two of many ranches that offer authentic ranch experiences including taking tenderfoots on a cattle drive. Learn about the defining historical periods in American History by living life in the past lane – if only for a few days. The experiences are perfect family and multi-generation trips. 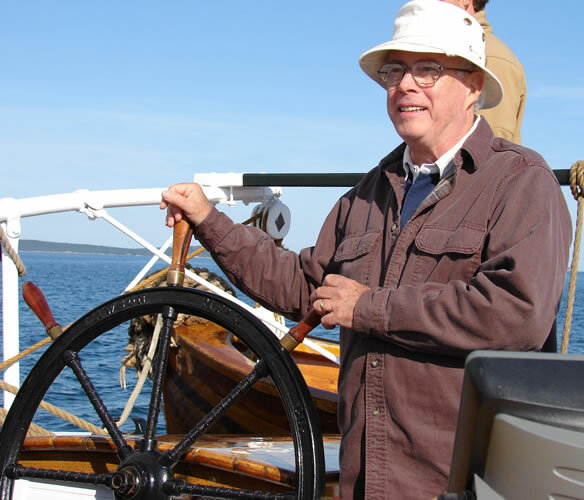 For more information check: www.mainewindjammercruises.com, 800-736-7981; www.history.org, 800-HISTORY; www.midlakesnav.com, 800-545-4318; www.kscoveredwagon.com, (316) 283-2636, www.pamplinpark.org, 877-PAMPLIN, www.longhorn-cattle.com, and the www.rockinacattledrive.com.